Philippine Finance Secretary Cesar V. Purisima. Will the Philippines Join China’s Bank? Manila is still sticking to its ‘wait and see’ approach. While the Philippines joined several other countries in inking an agreement to become a founding member of China’s Asian Infrastructure Investment Bank (AIIB) last October, officials continue to stress that the country is still undecided on whether it will eventually commit to being part of the bank half a year later for various reasons. Philippine officials have maintained the agreement signed last year was non-binding, which means that Manila’s status is that of a prospective founding member. As Finance Secretary Cesar V. Purisima put it in a speech last month: “We’re still in the non-binding stage. We haven’t committed.” Purisima also suggested that President Benigno Aquino would have the final say on the issue, and that a decision would be made around June. The main reason for Manila’s ‘wait and see’ approach is the need for additional clarity on how the bank would operate. It wants to ensure that governance standards are satisfactory; that the AIIB would not compete with other institutions; and that it would be designed in a way that gives members like itself enough of a say at the table. “We are looking at the structure to make sure it is inclusive and the business plan to make sure it complements rather than competes with the Asian Development Bank and the World Bank…Finally, we want to make sure that it is truly multilateral in nature,” Purisima indirectly told BusinessWorld. Some additional clarity could come by the end of June, when China expects to finalize the AIIB’s Articles of Agreement. That would decide several important issues related to Philippine concerns, including the distribution of voting rights between members and the structure of the board of directors. These concerns are not the Philippines alone. Japan, for instance, has shrugged off China’s March 31 deadline to join the bank and says it will also wait till the end of June to see how discussions proceed on these issues, including specific concerns officials have communicated to China. More abstractly, Purisima has also linked Philippine support of the AIIB to the institution’s goals. 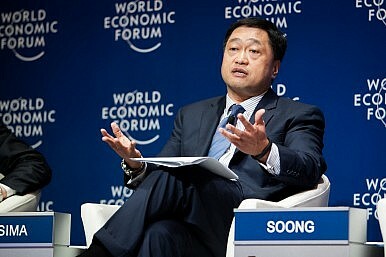 In last month’s speech, which was to the fourth annual Euromoney Philippine Investment Forum in Makati, he said that he hopes that the bank would focus on aiding the development of emerging markets, rather than being a mere tool for advancing Beijing’s political interests globally. He and other Philippine officials have clarified, however, that the South China Sea issue would not interfere in Manila’s decision to join the AIIB. It might be difficult to get clarity on this, however, considering that it gets to the issue of Chinese intentions and both of the objectives probably overlap in reality in spite of the rhetoric. Despite these outstanding concerns, it is worth iterating that Manila does see some positives in joining the bank as well. As I have pointed out earlier, the Philippines is one of several Asian countries which requires additional funding for infrastructure development. In Manila’s case, the need is more urgent. It ranked a dismal 95th in the “quality of overall infrastructure” component of the World Economic Forum’s 2014-2015 Global Competitiveness Index. And while the Aquino government has placed an emphasis on infrastructure, the country has a lot to do because it is making up for years of underinvestment relative to its neighbors, as the World Bank has previously documented. The AIIB could serve as an additional funding source. Of course, a case could be made that Manila’s problem on the infrastructure side has less to do with funding – particularly given investor interest in public private partnership (PPP projects) – and more with how to get these projects off the ground. As Socioeconomic Planning Secretary Arsenio Balisacan confirmed in a February speech, of the 93 total projects approved under the Aquino administration, only seven of them had been completed. There are also certainly other ways that the Philippine government could obtain funding for infrastructure development beyond the AIIB. But is Manila really prepared to miss out on adding another alternative that it can rely on for infrastructure funding if and when it needs it? And would it want to be left out of an economic institution that could become an influential one regionally? These are just some of the questions we will get more clarity on in the coming months as the AIIB takes shape. What Does the Philippines Think About China's AIIB? Manila still has some lingering concerns about Beijing's initiative.